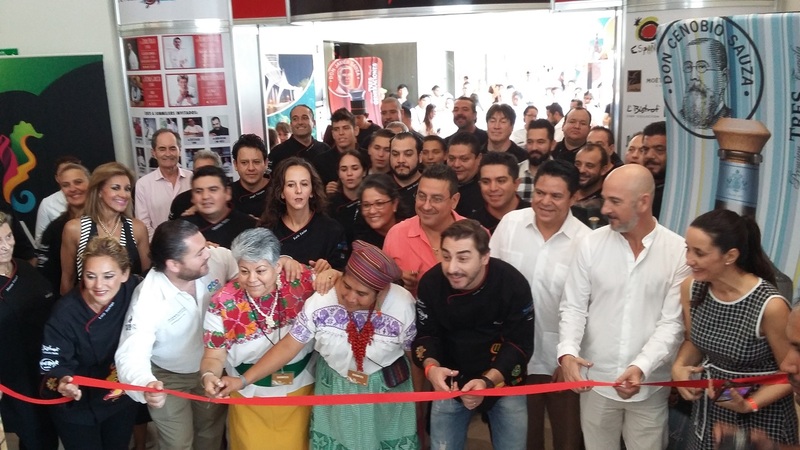 The organizers received ample congratulations and appreciation during the inauguration, and there was plenty of encouragement for students and attendees to take advantage of the teachings of the best chefs in Mexico and the world. 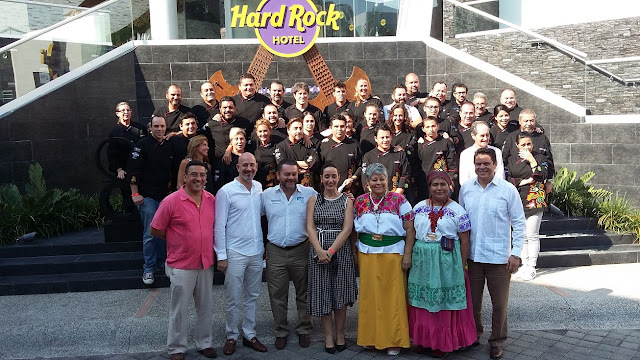 The inauguration of the 8th Vallarta-Nayarit Gastronómica took place on the morning of Monday, October 24, 2016 in the Hard Rock Vallarta’s Sanctuary Convention Center in Nuevo Vallarta. The quality of the lineup of the participating chefs evoked congratulations and appreciation, as it will continue to position the Riviera Nayarit and Puerto Vallarta as culinary destinations. However, the emphasis of those present at the conference was to encourage students and attendees to take advantage of the teaching moment and become better tourism professionals. “Vallarta-Nayarit Gastronómica is and will continue to be a formative event, we’re looking to elevate the level of competitiveness, to train more and better professionals and to give these youths the opportunity to learn how to constantly improve themselves,” said Carlos Elizondo who, together with Consuelo Elipe, is the creator and organizer of the event. Chef Jordi Roca, headliner of the event, was happy and grateful for the invitation. “There’s a kind of Mexican-Spanish mix going on here that’s very evident, a brotherhood that’s palpable and I’m here to add my humble contribution,” said the man who is considered to be the world’s best pastry chef. State representatives included the VP of the Riviera Nayarit Hotel and Motel Association, Jesús Carmona, and the Jalisco Secretary of Tourism, Jesús Ramos, and his counterpart from the guest state of Guanajuato, Fernando Olivera. This year the host country is Spain, which is why the Spanish Consul to Mexico, Miguel Benzo Perea (based in Guadalajara) was an important presence. Luis Entrala, General Manager of the HRHV, was also there representing the host hotel. Miguel Andrés Hernández, Managing Director of the Puerto Vallarta Convention and Visitors Bureau was present, as was his counterpart in the Riviera Nayarit, Marc Murphy, who gave the inaugural speech.